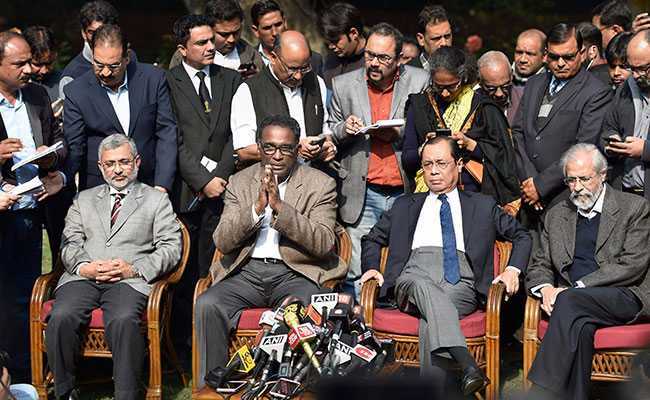 They announced the demise of the Justice System of India when four senior judges of the Supreme Court, Justices Chelameswar, Ranjan Gogoi, M B Lokur and Kurian Joseph, held a dramatic and unprecedented press conference on Friday, the 12th of January 2018. In the press conference, the judges publicly made serious allegations against the Chief Justice of India. They talked about a letter that they had written to the Chief Justice of India, which according to them, didn’t get the appropriate response. Why I call it the obituary of Justice System of the country? The four judges inadvertently admitted that cases in the highest court of the land are decided not on merit but according to political and/or ideological affiliations of the judges sitting on the bench. Why on earth otherwise should there be so much hue and cry over the constitution of benches? All cases are supposed to be heard on facts and law without any external influences including the personal likings and preferences of the judge concerned. How does it matter which judge hears which case? All judges of the Supreme Court are eminently capable and experienced men with impeccable integrity. That is why they are judges of the highest court. How can assigning cases to any judge of Supreme Court pose a threat to democracy? That there is so much scramble for a place on some benches tells us that judges are not doing justice; they are lobbying for their preferred causes. Now questions to Justice Chelameswar & Colleagues? The first question: Supposing you have a genuine dispute with the CJI, whom do you want to decide the dispute? The man on the street? Bar? Politicians? TV Channels? Is any of them capable of deciding dispute between the highest judiciary? If not, what is your purpose in calling the press conference? The second question: Have you given a thought to what kind of precedence you are setting? What will be the fate of Justice Delivery System if taking a cue, judges of the numerous high courts in India take to the press, whenever they don’t find them on the benches they like to be on? The third question: Even while you rightly admit the well settled principles that the chief justice is the master of the roster, you question his authority in the next breath and level unsubstantiated allegations. Why? Are you aware of another maxim of law that JUDGES MUST NOT BE HEARD OUTSIDE THE COURT ROOM? I am sure you would have heard of this maxim in your long illustrious careers. Are you aware of the dangers of not following this maxim? 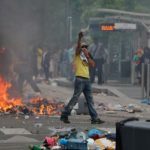 The fourth question: Do you seriously believe your bringing the inter-judges bickering to the streets will bolster the ever falling confidence of the people in the Justice Delivery System? The fifth question: How do you counter the charge that your press conference was in furtherance to a conspiracy with the opposition parties? Well I must specify the grounds on which I hold it to be a conspiracy. Why this is a conspiracy with the opposition parties? Admittedly, the flashpoint is the Judge Loya PIL. A judge died in a heart attack. A PIL is filed. There are no rewards for guessing that the PIL was filed to insinuate the president of the ruling party. Why was it so important for you to be on the bench hearing it? Why giving it to another Judge was dishonest? You had undue interest in hearing a PIL filed to insinuate the president of the ruling party. Then you are in truck with a leading politician of an opposition party. Why? One of you is a close friend of a communist party leader. Another one of you is son of a former Chief Minister of Congress party. Your undue interest in a case seeking to insinuate a ruling party president, your links with opposition parties, your meeting with opposition politician after the press conference and the opposition parties supporting you in chorus are substantial grounds to suspect a conspiracy. How the damage done be controlled? All judges of the Supreme Court should sit together and resolve the dispute. And there should be a message to all judges not to follow this bad precedent. Also read: Ongoing Judicial Crisis: Unprecedented move or demolition of constitutional decorum? 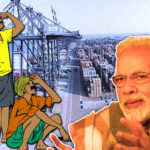 The views and opinions expressed in this article are those of the authors and do not necessarily reflect the official policy or position of jansatyagrah.in. You may have dissent with the author's opinions which can be raisedby writing to us and author.